Move mouse over image to see labels. Object types include galaxies, globular clusters, and open clusters. "And IV" is an irregular dwarf galaxy. 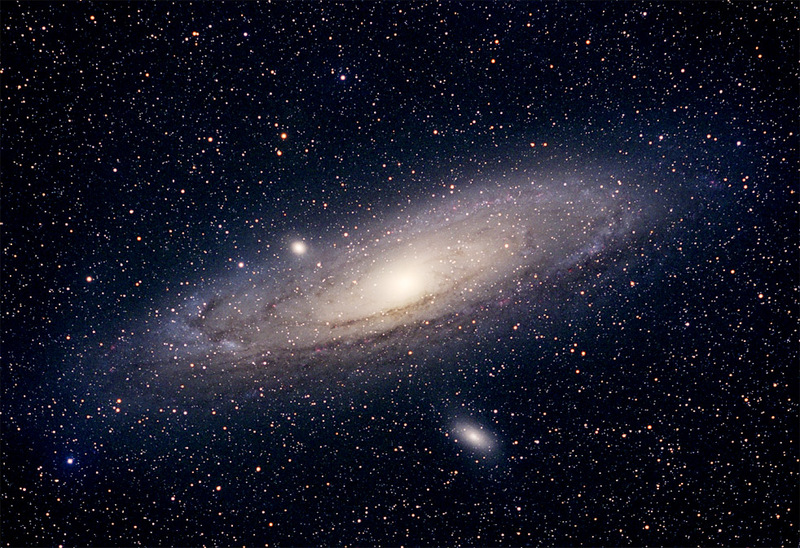 Most of the objects gravitationally associated with M31 are labeled according to Paul Hodge's Atlas of the Amdromeda Galaxy (1981). I found these labels in The Night Sky Observer's Guide. The labels are by no means complete.